Hey everyone, and welcome to the liveblog on the Health-care reporting talk. We are busy setting up after the awesome keynote address, so stay tuned for the event to start! 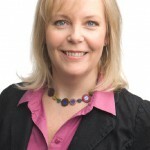 Pauline is the senior producer of current affairs programming at CBC Nova Scotia, and host of the regional weekly documentary show Atlantic Voice. She was the long-time national health reporter for CBC News, her work having been recognized with many national and international awards. 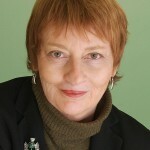 She has completed fellowships with the MIT-Knight Science Journalism program, the National Press Foundation in Washington, and the University of Colorado School of Medicine, and is a former board member of the Canadian Science Writers Association. Trudy is a past president of the Association of Health Care Journalists and a contributing editor to the Columbia Journalism Review where she blogs about healthcare and income security. She also blogs for Health News Review. She had a long career at Consumer Reports specializing in insurance, long-term care, and healthcare financing. She has won 26 national and regional awards, including two National Magazine Awards. She has received seven major fellowships including three Fulbright scholar and specialist awards. She has written a column about health and the marketplace for the Los Angeles Times and began her career as a consumer writer for the Detroit Free Press. 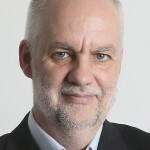 André is the health columnist at The Globe and Mail and the author of four books, most recently “The Path To Health Care Reform: Policies and Politics.” He is a seven-time finalist for the National Newspaper Awards. We are starting! Here we go! Introductions all around. All three have a long list of awards from their time on the health-care beat. Dakin starts us off. She says most people who cover health stories are not dedicated health reporters, unlike our panelists. And they often get it wrong. Today we will learn tips and tricks to be more accurate. What to do when you get a health-care story? You probably panic at first, says Lieberman. There are a lot of hidden and interesting stories in health-care news. WE need to sniff them out. We start with the release of a study -- some kind of research by, well, researchers. What do you do when you get this study? Inclination is to write a story, especially when the government responds to the study. Another way to get stories is from polls. For example, a recent poll from the Canadian Nurses Association. Governments will tell you what their going to do, but don't give out the context how they came to their decision. Lieberman is talking about an example of Obamacare, and how the government released how registration has fallen -- but not why. 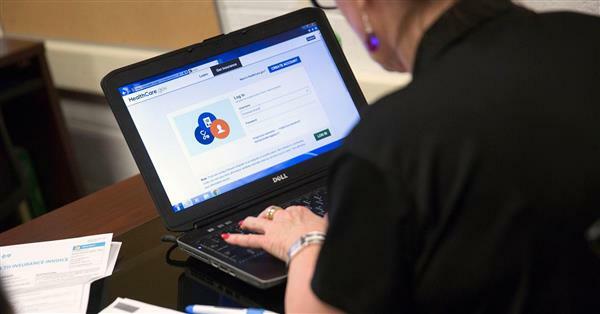 CNBCThe Obama administration says less than 10 million people are likely to sign up for Obamacare by 2015, much less than 13 million projected earlier. As for the CNA, they released a poll showing what voters thought was the biggest issues Canadians were thinking about in an upcoming election. The CNA deemed health-care was more important to Canadians than taxes, says Lieberman. Lieberman is going to give us four or five questions to think about before reporting on health-care. Does the study have a bias on who funded it? Lieberman explains how she was reporting on a study on radiologists, and had questions -- but could see clearly who funded the study. She got suspicious of who funded the poll and found out that the makers of the radiology machine created the study favourably stating that this machine helps radiologists do their job. The transparency is important, and gives context. Can you trust it? We're talking about the privatization of health-care, and the popular claim that competition reduces prices. Be critical of these claims says Lieberman. Canadian health-care has huge waiting lists. Lieberman was critical, and found a study about how a hospital in Alberta was giving out too much lower back surgery. Look deeper into the study before making the claims. In this case, the claim had a wider context. Any kind of study or poll or pronouncement that says that their is a consensus growing, be skeptical says Lieberman. Look to see who has made this pronouncement, and what they get out of it. We are now moving on to Picard, who is going to talk about covering infectious disease. He compares it to real estate -- location location location. Although it's slightly different -- context context context. Quoting the CDC definition of epidemic. The flu, technically, is an epidemic -- though it won't kill you. Context is important. At the beginning of the outbreak, be leery of the stats coming out -- often deaths can be mislabelled. Old people may die of cancer, but be falsely reported. We have to remember the ability to spread panic through the media -- no one got SARS outside of a hospital in Canada, and people wearing masks didn't stop SARS, and instead spread panic. Photos of screaming children are also an issue. Most kids don't scream, or cry -- Picard makes the exception for teenage girls, of which he has two. So be careful of false balance. Science is science, there isn't always two sides. For example, vaccinations don't cause autism, so don't make that a headline. But don't get rid of your scepticism -- just don't go to the extremes. Picard is really against anti-vaccine movements. Learn about the subject and science before vaccines before reporting -- know why the measles has a vaccine but AIDs doesn't. Picard says look to experts for help -- most Universities have infectious disease experts. You can also access the Association of Healthcare Journalists, which have many resources that you can use. Silent epidemics are more common than others -- hepatitis kills more people than the flavour disease of the day. The Association of Health Care Journalists (AHCJ) is a nonprofit organization dedicated to improving the quality, accuracy and visibility of health care reporting. Hepatits kills 1.4 million people. Ebola has killed as many people that AIDs kills in a day, says Picard. Measles kills 800,000 children a year. Make sure to keep this context. Infectious diseases aren't the be all and end all of health-care. Poverty, lack of education, equality for girls all have an impact.